How much is Luis Miguel Worth? Luis Miguel Net Worth: How rich is Luis Miguel? & How much money is Luis Miguel worth? Time to find out! 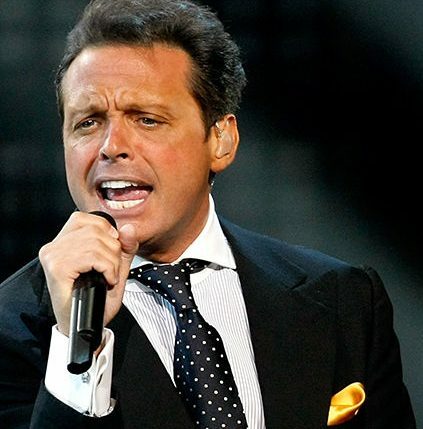 Luis Miguel is a Mexican singer and his current net worth is $200 million. Growing up his father encouraged him to record Elvis Presley’s every movie and concert and to watch and analyze his every move. At 11 years old, Miguel released his debut album, Un Sol, under the EMI Records record label. He started touring Latin America in some of the most important countries like Colombia, Venezuela, Chile and his native Puerto Rico & Argentina. His song, 1+1= Dos Enamorados became a major hit. After a while he changed his music style into Spanish rock-pop style and marked it with international release of his fourth studio album, Palabra de Honor. Produced by then Spanish Hispavox director Honorio Herrero his album became a hit. Two years later, at 15, he won the second place award from the Sanremo Music Festival with his song Noi Ragazzi Di Oggi. After a break, his relationship with his father, also his manager, became bad, due to alleged mismanagement, poor financial decisions and risking his earnings of his career. Then he sang with Warner Records, and fired his father and started to work with Juan Carlos Calderon. His album from 1987, sold well and featured songs like “Cuando Calienta El Sol”, “Ahora Te Puedes Marchar”. In 1990, he made a successful transition from a child singer to an adult showman with the album 20 Años. Today he is one of the most successful artists in Latin American history, having sold over 100 million records worldwide. He is the first artist to have awarded two Platinum certified Spanish-language albums in the US. He has performed in a wide range of musical styles, including pop, ballads, as well as boleros and mariachi. With his most recent concert tour, he visited 22 countries in North America, South America and Europe. With a total of 223 shows all over the world, this tour is the longest and highest-grossing tour ever made by a Latin American artist. This wraps up our Luis Miguel Net Worth profile! How much is Backstreet Boys Worth? How much is Janet Jackson Worth?